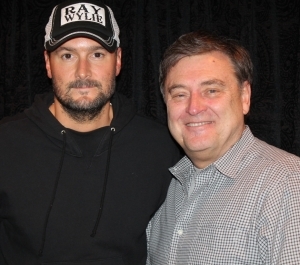 This week’s co-host is Eric Church, whose latest project “Desperate Man” is nominated for the ACM Album of the Year. He is currently on his Double Down Tour, and his latest single just entered the Top 30. Eric also has great stories this week about Luke Bryan, John Pardi, Brantley Gilbert, Keith Urban, and Thomas Rhett.